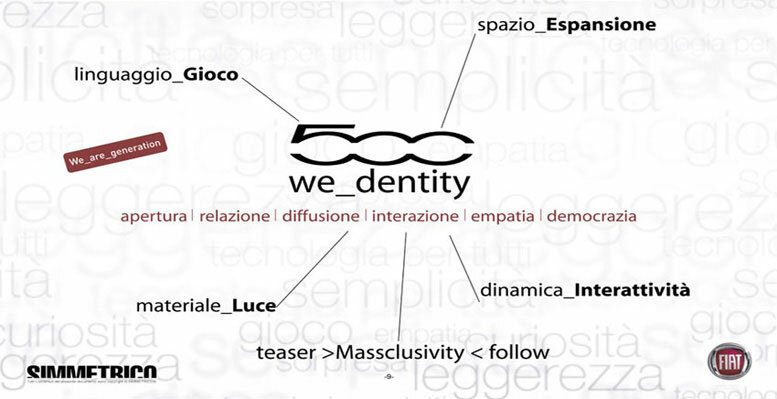 500 is everybody’s car and it extends the opportunity to communicate from I to WE, from NEED to VALUE, from TARGET to PEOPLE. 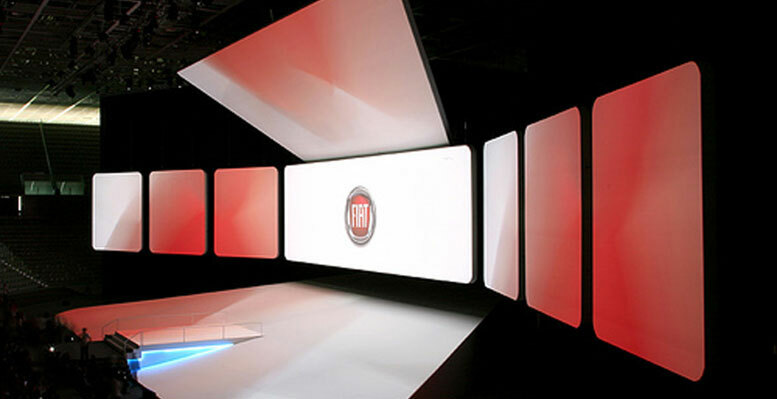 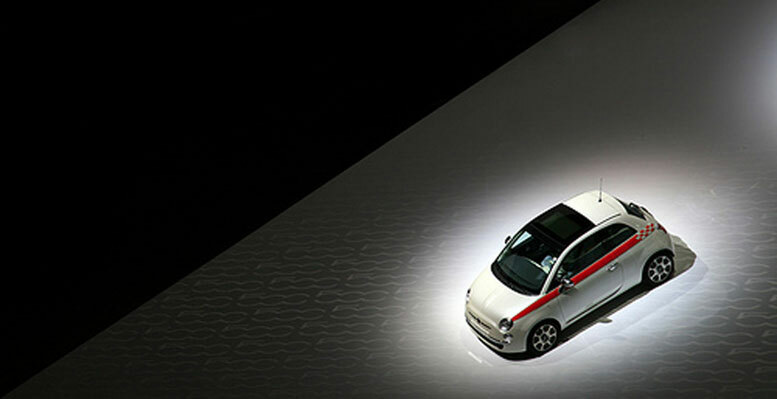 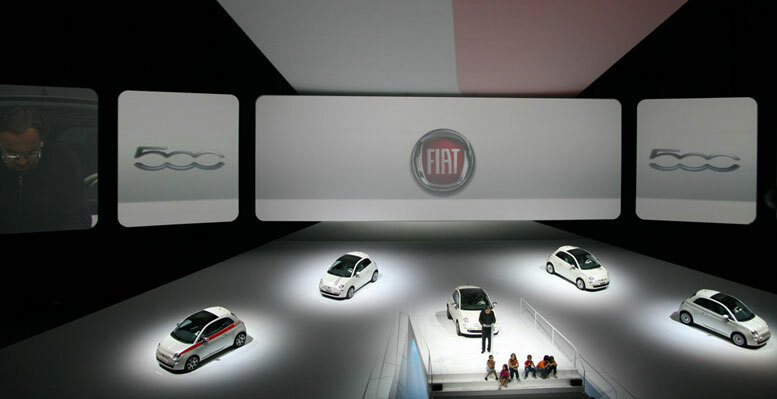 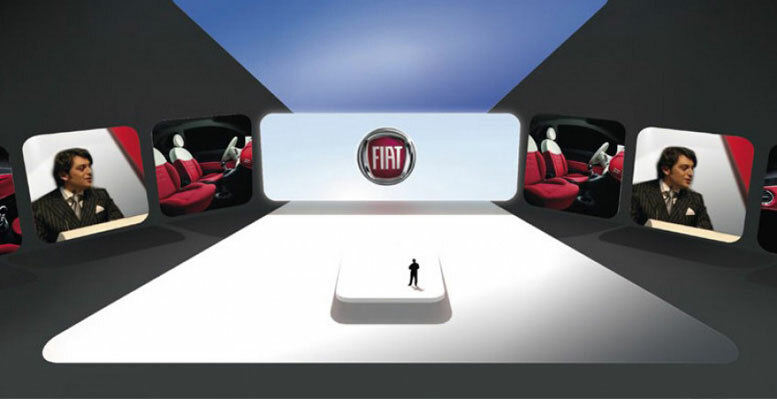 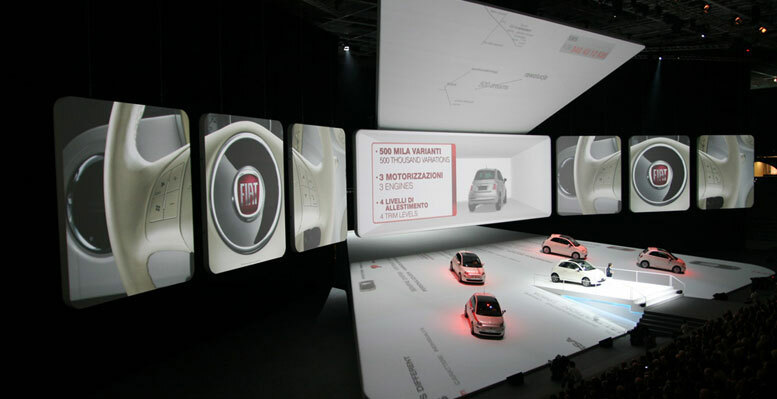 For the launch of new 500, the scene looks like a white box, an environment getting colored with the contents of the new 500. 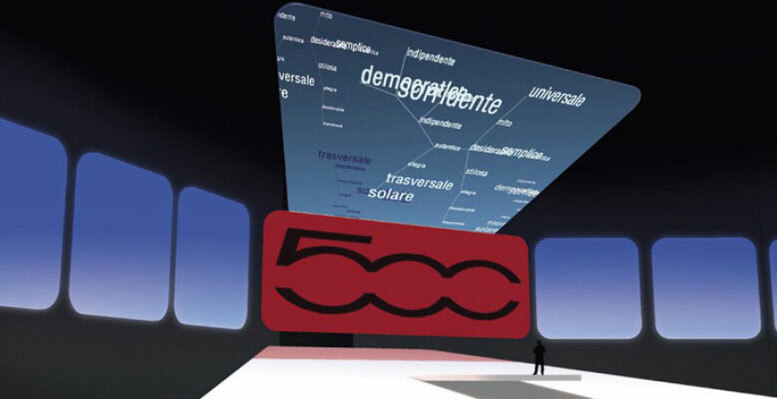 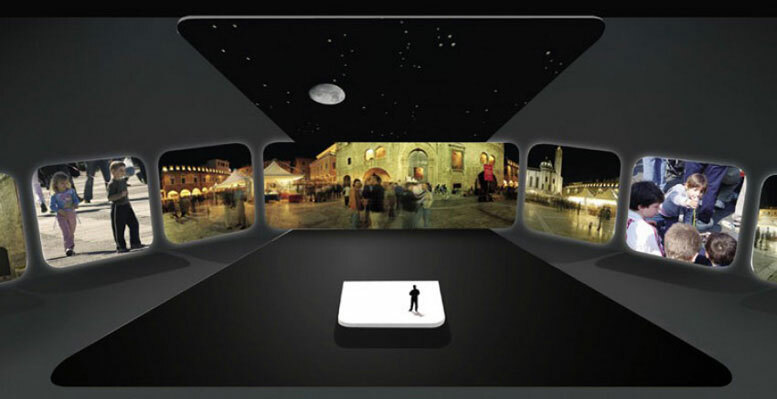 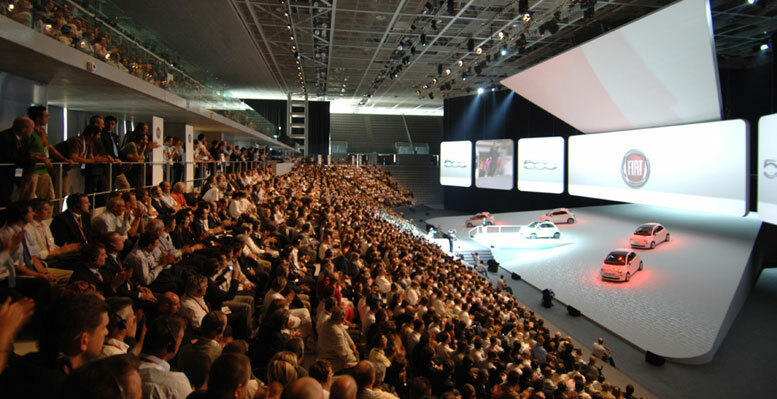 The communication structure offers the visitors the possibility to interactively participate to the convention thanks to a graphic sky coming alive in real time with the keywords related to the product that the audience is sending by SMS. 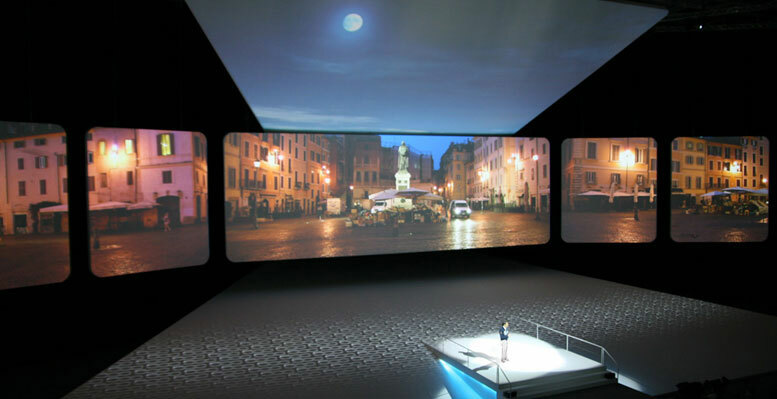 The narrative focus, on the background of the square, shows the faces of the audience, among them children and old people, in a poetic syncopation bringing the attention on people, on the simplicity of the eyes and the rediscovery of simplicity. 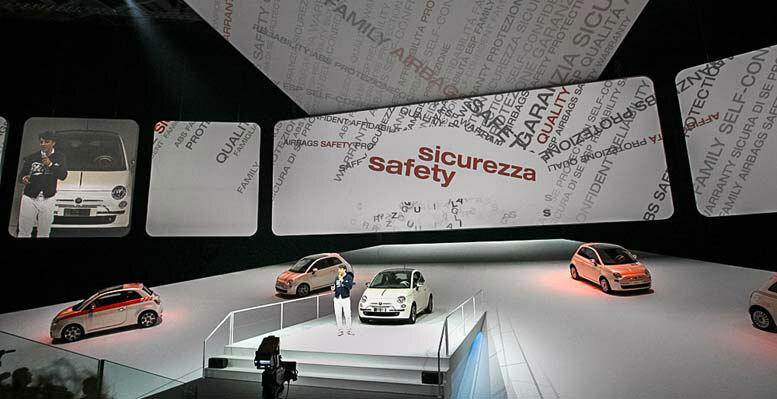 The second part of the convention is divided into three main themes: ENVIRONMENT, SAFETY, CUSTOMIZATION. 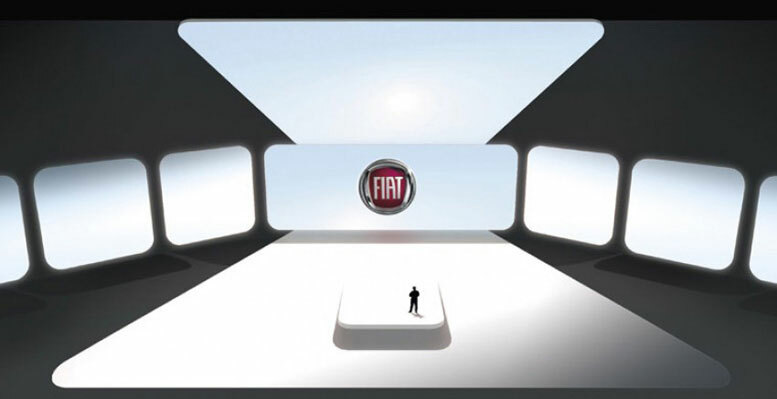 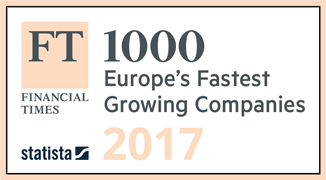 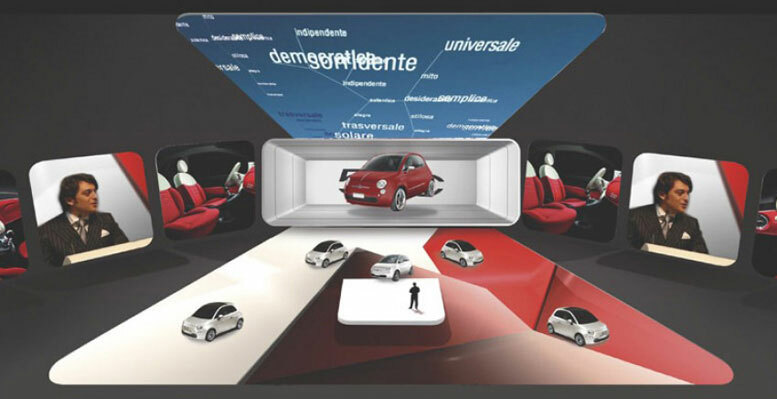 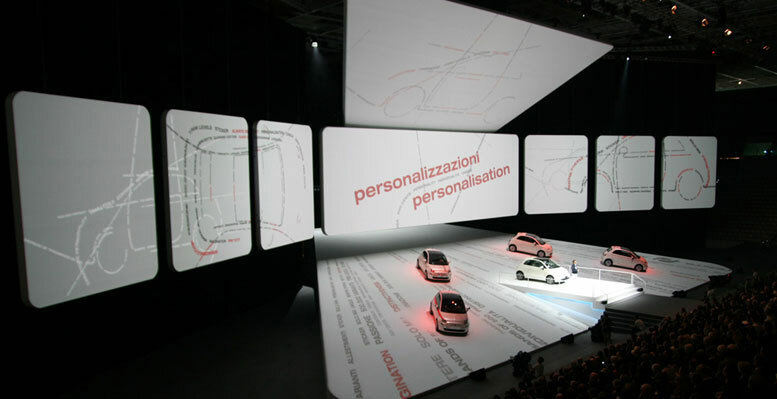 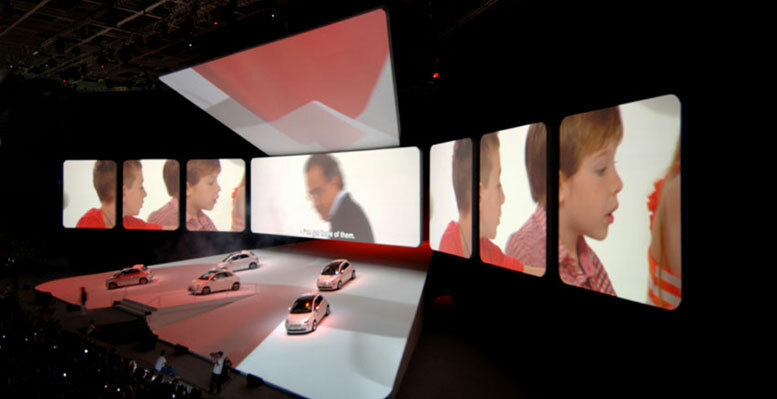 Each theme is introduced by a video clip in which the CEO of Fiat Sergio Marchionne interacts with some very special experts: children.